It was mentioned in the Update 2.3 patch notes on the PTS, but IGN has a more specific description of exactly what you’ll get. An Ewok Bounty Hunter sounds uh-may-zing! Say Hello to Treek the Bounty Hunter. Ewoks will be joining Star Wars: The Old Republic in the form of a playable companion once Patch 2.3 hits. Dulfy.net reports that you’ll need to be legacy level 40 and have a spare million credits to unlock the companion, called Treek. If you’re short on credits, a Cartel Coin option will also be available. Treek will wear heavy armour, and uses Aim as her primary stat. The pint-sized Bounty hunter will also come replete with both tank and heal stances. 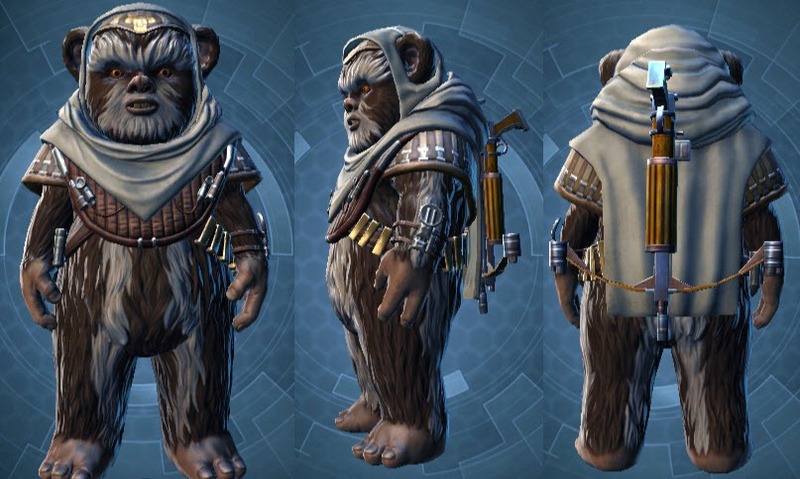 Will you be picking up Treek when Patch 2.3 goes live, and are you glad to see Ewoks come to The Old Republic? Let us know your thoughts in the comments below.